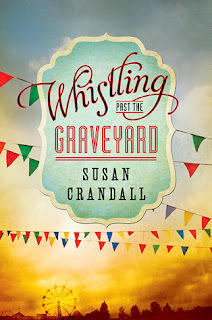 Whistling Past the Graveyard by Susan Crandall is available at Amazon and Barnes and Noble. In the summer of 1963, nine-year-old spitfire Starla Claudelle runs away from her strict grandmother’s Mississippi home. Starla hasn’t seen her momma since she was three—that’s when Lulu left for Nashville to become a famous singer. Starla’s daddy works on an oil rig in the Gulf, so Mamie, with her tsk-tsk sounds and her bitter refrain of “Lord, give me strength,” is the nearest thing to family Starla has. After being put on restriction yet again for her sassy mouth, Starla is caught sneaking out for the Fourth of July parade. She fears Mamie will make good on her threat to send Starla to reform school, so Starla walks to the outskirts of town, and just keeps walking. . . . If she can get to Nashville and find her momma, then all that she promised will come true: Lulu will be a star. Daddy will come to live in Nashville, too. And her family will be whole and perfect. Walking a lonely country road, Starla accepts a ride from Eula, a black woman traveling alone with a white baby. The trio embarks on a road trip that will change Starla’s life forever. She sees for the first time life as it really is—as she reaches for a dream of how it could one day be. 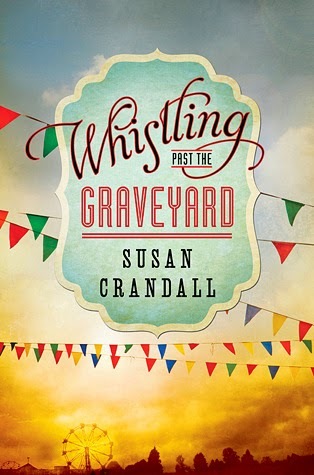 Full of southern charm - the prose is delightful for those who enjoy Southern dialect. Just like the southern phrase 'bless your heart' is often an expression of pity at someone's idiocy, this story presents some shady subjects wrapped up in a light, almost playful, prose. None of the characters felt stable to me; I questioned the sincerity of their transformations through the whole story. At the same time, this is an element that made the characters realistic as they bumbled from one conflict to the next. Starla's relationship with her grandmother, Mamie, isn't fully resolved at the end of the story. A good book is supposed to leave the reader imagining what-happens-next but, in this case, the story doesn't feel complete to me. I received a free advanced copy of this book in exchange for a review and I have no idea if a sequel is planned - but I want one. I want to know where all the characters wind up a few years down the road.